Some of the gentlest, humblest people we meet in Calais are the Sudanese. They ask only for the things they need to survive – and its a bare survival at that. They are grateful for the little we can give and refuse what they do not need. They accept the brutal way they are treated in France and still offer our volunteers a smile and a thank you. All they want is a place to live in peace, away from the bloody atrocity and torture that is ever-present in Sudan. The people of Darfur have watched their villages burn to the ground, their women raped, their children enslaved and their livelihoods destroyed in a conflict that began in 2003. Except this isn’t really a conflict, it is an ongoing genocide disguised as civil war. Chemical weapons shred the skin from children and leave them red raw in a land where medical care and water are scarce. 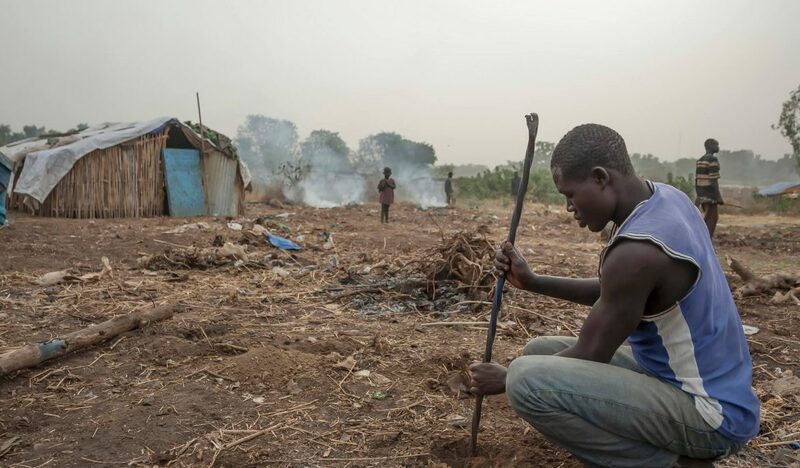 The crops are burned and animals shot, leaving villages to starve, so people can not rebuild. The women rounded up and raped, and child soldiers are made. They flee to Kakoma and Maaji, chased by Janjaweed wielding automatic rifles. Wasted lives, held in limbo. The lucky ones flee across the desert into Libya, many do not survive: it is a harsh and pitiless journey. Libya is no sanctuary, so they flee again to Italy, but the sea claims many. Survivors travel up through Italy and France to Calais. A journey no one willingly takes, a journey for life, for peace. How can we turn our backs? How can we say, “No, you are not welcome’?